Just how important is landscaping when selling your home? Very, so while you’re cleaning up the inside of your home and prepping to move, you shouldn’t forget about the outside of your house. Most people who’ve been through a sale will tell you that a prim and proper yard is key to making a good first impression and attracting buyers. If you ask any real estate agent, they’ll say it’s an absolutely essential piece of the home selling equation. 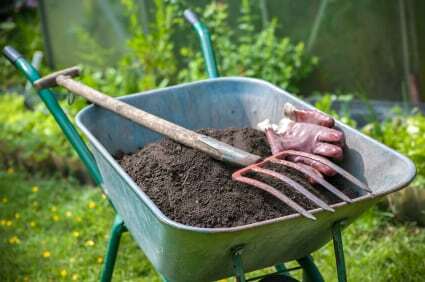 With selling season (summer) approaching, if you’re planning on selling your home anytime soon, there’s some simple landscaping tips you’ll want to consider. These will not only to bring potential buyers in, but to also possibly increase your home’s resale value while at it. …you should thoroughly examine them first for cracks and second to make sure they are level. Some may have been forced upwards by roots or cracked by freezing ice. If you do find cracks, they can be filled with inexpensive concrete filler available at your local home department store. For unlevel surfaces, do your best to correct them as it could be a walking hazard for both yourself and potential buyers viewing your home. Also take a hard glance at your front / back deck. These are centerpieces of any landscaped yard and should be looking fresh with its structural integrity intact. Make sure that any wobbly boards or supports are replaced immediately, and a fairly recent paint-job or re-staining if need be. Even small pain touch ups will go a long way in making the deck look as new and up kept as possible. 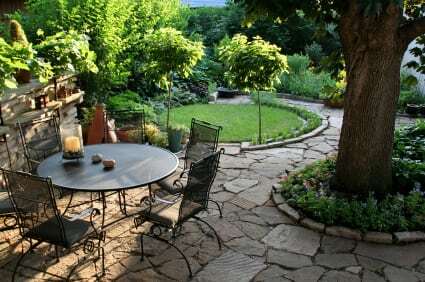 Outdoor patio furniture and fire tables are also common and add an extra layer to your landscaping that buyers notice. Take note that if you have some of these already, then great, but you shouldn’t be spending too much on such improvements unless you are absolutely sure that they will become a crucial selling point and be worth the investment. For example, a $500.00 job to repair a tattered and uneven cobblestone pathway will most likely see a return. On the other hand, a $5000.00 installation of a small pond with a pump and waterfall might not. If you do plan on going big, consult a real estate agent to see if they think it is a viable option that could increase your home’s overall asking price. On the flip side, a somewhat inexpensive way to dress things up is to have clean patio furniture which is in good condition. A few paint touch-ups and replaced cushions, and you’re good to go! Flower pots are also a great way to landscape the yard well without exuberant costs. In the front yard, landscaping should be done in a way that makes your house stand out from the road and draws the attention to the front door. Using the right plants in the right way can accomplish this. 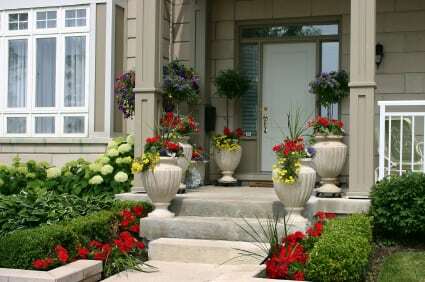 Having a row of beautiful flower pots beside the front walkway and entrance is a good place to start. Remember to consult an expert at a home and garden store to ensure that the plant you choose will bloom at the right time of year. This varies varies greatly between species. Also, depending on the climate you live in, one type of plant may be much more accustomed to the local weather than another. When a real estate agent is showing your home, they take a moment to access the lockbox and get your key. During that time, any potential buyers with them will be looking around and envisioning themselves as the owner of your property, so the more beautiful and well-placed plants, the better. That also means that they’ll see any unsightly views – the bus-stop, or trash cans perhaps – that can be easily blocked and replaced with proper landscaping. Trees and other screening plants can help solve this issue while also boosting privacy. Trees can also add insulation from the sun. Make sure to use the right trees though (once again, consult your local landscaping / gardening expert) and not plant them too close to the foundation as roots can intrude over time and create red flags with thorough buyers. 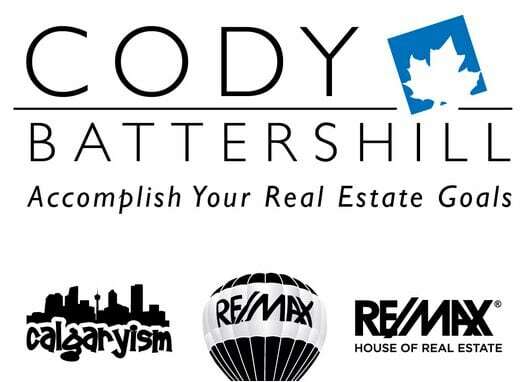 As a highly experienced REMAX real estate agent and REALTOR® in Calgary, I will help you maximize your home’s value on the market while providing you with all the information you need to make the best decisions.